How Much Does Marketing Content Writing Cost? One common question in the business world is, how much should marketing content writing pricing be? A quick Google search will only lead to confusion—with the large number of marketers, content services, and freelancers offering blog writing, the pricing is extremely hard to pin down. Not only is it difficult to get a measurement of what you should pay for each blog piece, but there are often extra services that can add to the price. Plus, when you add in bulk discounts, subscription services, editors, social media support, and images, blog services pricing is all over the place. Now the question becomes, how do you approach content writing pricing? The answer is multilevel. You’ll need to figure out what you want/need, what your budget allows, how much you’re willing to do, and the level of quality you want. What do you Want or Need in a Blog? Look at how often competitors in your industry are posting. You should be around the same. However, be willing to play around with blog frequency to find where it’s most effective. A good place to start is at least one post per week. Consistency is key, so make sure you post on the same day each week, and don’t miss a post. A blog for a beauty product is going to be different than a blog post in the software or medical fields. You’ll want to look at how the skill of the copywriter is going to affect the price. You may need someone with a higher-level education and experience in the field, as well as writing experience. That is going to cost more than a basic blog copywriter. Another factor affecting blog services pricing is the length of your blog. Freelance writing rates per word will vary. Are your posts 250 words or 800 words? You’ll need to look at what works with your industry, and again, feel free to play around until you find that magic length that your audience seems to prefer. Today’s blogs are a valuable marketing tool. They often come with images and are professionally formatted and polished. In fact, if you don’t have some sort of appealing style, people will often pass right over what may be decent content. Some add-ons that may affect the price include editing services, image services, formatting, posting, and social media support. What Does your Budget Allow for Marketing Content Writing? That said, it’s important to know your budget, and not overextend. It may take some reorganization to make room for marketing content writing services packages, but evaluate each quarter and pull funding from what’s not working and transfer it to things that are working. One thing to remember with blogging—it typically isn’t an overnight success. Give it time to work, and play with the formula to see what posts, topics, keywords, frequency, etc. work for your business. How Much Do You Want to Do (or have time to do)? Topic and keyword development. Editorial calendar. Finding writers and editors. Writing blogs. Posting blogs. Finding images. All of these things take time. Figure out how much time you or your business team can or should dedicate to blogging and outsource the rest. You’ll find simple, straightforward services that just write what you tell them to, or full-scale services that do everything for you. With many services, you can have as much say or as little say in the process as you want. To learn more about having auditions for freelance blog writers, check out our white paper, "Using Auditions to Find the Best Freelance Content Writers." It may be tempting to go for the most inexpensive marketing content writing pricing available. However, quality is going to go a long way in your success. 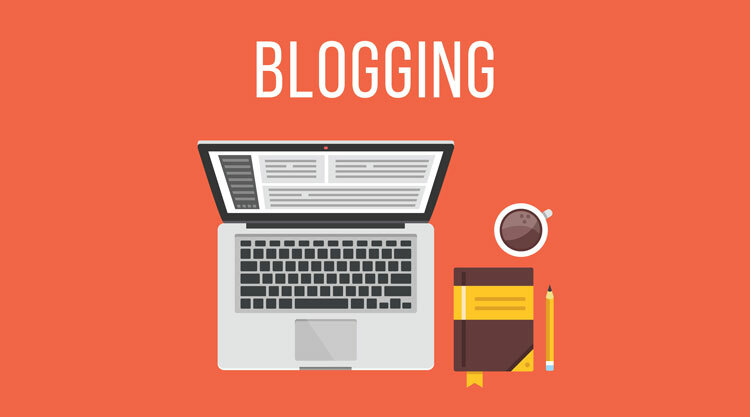 You can get 10 blogs that are written cheaply or quickly, but one blog that is unique, well-written, and rich in research and keywords is going to stand out far more among the abundance of blog posts. Factor in quality when looking at the best blog service for you. Blog services pricing is hard to pin down. But finding a service that is successful and brings more traffic, leads, and sales is priceless. Thinking about hiring a content marketing agency? Read our white paper, "Content Marketing Agencies - Look for these 10 Things Before Hiring."